Eating raw almonds at GoalSponsors headquarters = healthy brainfood as we gear up for our next big thing! What healthy snacks do u ppl love? At GoalSponsors, we want to help everyone to reach their goals: is it losing weight? Starting a new business? Breaking a bad habit? Whatever it is – we’re here to help. Reaching a dream or achieving a goal can be a life-changing milestone of which you’ll be so very proud. Be specific. As you set your intentions, be clear about the goal and the steps you will take to get there. Have progress “checkpoints.” Without them, you may not be able to clearly see the steps you’re making towards reaching your goals. Form a timeline. This will help you to stay on schedule and keep you regimented and on track. Be realistic. 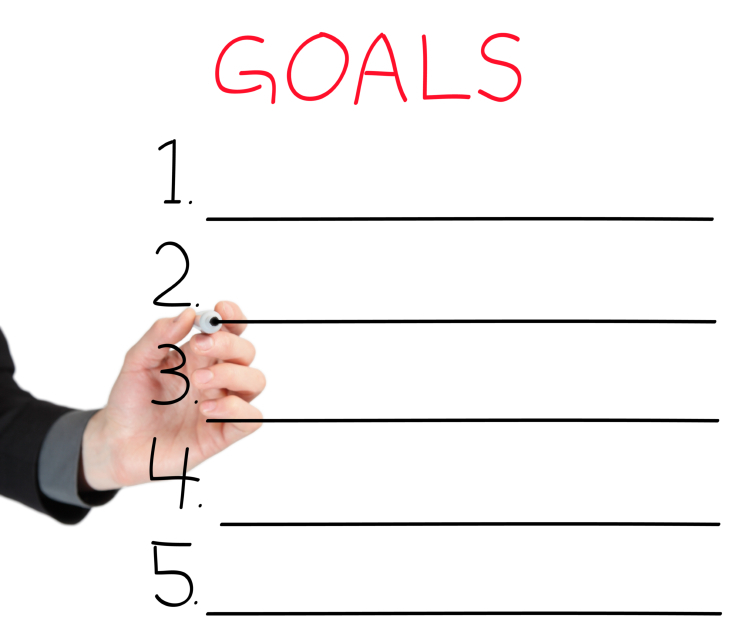 Set goals that you have the power to meet, and make sure they are realistic and controllable. Define your goals in steps. It may take baby steps for you to meet your optimal outcome, but you’ll get there! Be accountable. Use GoalSponsors so that you will be responsible for your progress. Checking in with a sponsor and investing in your success will make you be accountable to the outcome you hope to achieve. We all have goals and the ability to meet them. What will you do to jump start your efforts? 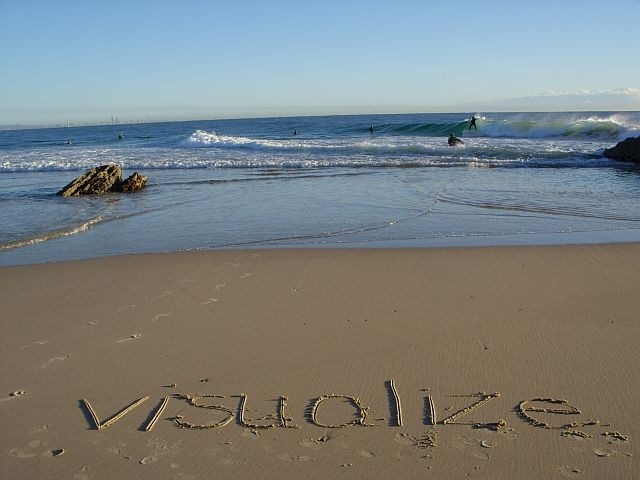 Visualization is one way that you can stay focused on your goals. Whether it is weight loss or quitting smoking, envisioning what you want and setting clear intentions is a great way to never lose sight of the finish line. With any type of goal, it’s also great to visualize that “a-ha!” moment when you realize YOU DID IT! What will it look like? Jumping for joy? Smiles, and hugs? Fist pumps in the air? A sense of accomplishment? Or, will it be more pensive, reflective, subdued, and introspective? Regardless of how you celebrate, you deserve to be celebrated! Reaching a dream you always envisioned or a goal that you never felt would be possible is an amazing feat, and one you deserve to be applauded for. Your sponsor and the GoalSponsors community will be cheering you on every step of the way. You can practice visualization by stating affirmations, doing meditation, journaling your goals, making a checklist, creating an inspiration or vision board, or just by sharing your goals and how you envision meeting them with your GoalSponsors sponsor. Let’s visualize, and then REALIZE, our dreams, together. I ask you, who do you think would hold you more accountable to a goal in your life, a friend or a professional? To follow-up with that question, can a professional hold you more accountable but a friend would make it more likely for you to succeed in achieving your goal? Now that you’re thinking about it, professionals and friends both have many advantages and disadvantages when it comes to holding you accountable. It’s a professional’s job to hold you accountable. That’s what you pay them for. Say you are looking to lose 10 lbs. You pay a personal trainer to give you tips, guidance, and most importantly, hold you accountable everyday to make sure you stay on track. You are paying them to give you 1 on 1 attention. They have the expert knowledge that demands respect. You look to them because they have helped others in the past and you want shed those extra pounds like they did. The problem might be that they are not very friendly. They may be disengaged and look at you as a component of their job and not as a real person trying to better their health. Also, at the end of the month, you can rack up a large bill because of their expertise and experience. On the other hand, a friend holding you accountable to achieving your personal goal would be the complete opposite of a professional. They would be engaged and truly want to help you succeed. Your friend would not be motivated by money and look at you as part of their paycheck, but as a real person. What’s in it for them? They get the personal satisfaction of living through you as you achieve your goal. They get to watch as you continue to grow with their aid, and when you achieve your goal, they get just as much joy as you do. But there must be a downside, right? With a friend, you don’t get that expertise and guidance that only a professional can give you. If your plan of losing 10 lbs. isn’t working and you don’t know why, your friend won’t know either. So you have to ask yourself, who would hold me accountable to the right extent so that I am most likely to achieve my personal goal? The good thing about that choice, is that the mobile app GoalSponsors is able to help you. This app helps you succeed in achieving your personal goal. It gives you the option to choose a professional or friend as your accountability buddy depending on what helps you the most. The best part about it is that if one doesn’t seem to be helping you the way you hoped, you can change at any time. Also, if you choose a professional accountability buddy to aid you in achieving your goal, you can also have the benefits of using a friend to give you what a professional lacks. We have designed this app to be the best of both worlds when it comes to accountability so that you are the most likely to succeed! For more information or if you’d like to give it a try, contact support@goalsponsors.com. Bad motivation = disorders, good motivation = health! Everyone has seen advertisement where women are portrayed sexually and dangerously thin. This has become the stereotypical woman in the media. Is this a bad thing? Yes! Both men and women strive to duplicate the images they see in advertisements. Women use these stereotypical images to provide themselves with motivation when exercising. This is becoming a dangerous practice among women ages 12 – 25. Viewing these thin models and using them as a form of motivation can cause eating disorders, low self-esteem, and even depression in young women. In fact, 90% of people who have eating disorders are girls between the ages of 12 – 25 with anorexia and bulimia being the most prevalent. Why can’t we go back to the days when it was considered healthy to have a few extra pounds on you? There are plenty vintage ads that are trying to get women to gain weight by saying, “come on and enjoy life.” If the image in the media were to showcase women at a healthy weight, maybe the stereotype would change from dangerously thin to naturally beautiful. People need to get motivated to become healthy the right way instead of using the media. A mobile app called GoalSponsors tries to do just that. GoalSponsors match you with an accountability buddy who not only motivates you, but guides you to be healthy while you achieve your personal goal. We also have several other techniques that provide healthy ways to motivate you into achieving your personal goal. It doesn’t promise that you’ll be a size zero by the end of the week, but instead gives you a realistic timeline of when you will achieve your goal depending on the pace you set. It’s alright to be aggressive with your pace if you want because your accountability buddy will make sure you are staying healthy. So get motivated the right way! I have been using this app for over 3 weeks now with great (and healthy) results. If you’re interested in learning more about the mobile app GoalSponsors, contact support@goalsponsors.com. Have you ever been driving along the road and noticed the fit jogger working up a sweat while listening to music? I can’t help but be a little envious of their body and motivation. I always assumed that the only reason to run was to get in shape. I found out that there’s much more too it which leads me to respect people who run and exercise. Besides making you look great, exercise can also help you in many other ways. To start, exercise can improve you quality of life. Research says it can add years to your life, probably due to the fact that it can help prevent diseases like colon and breast cancer, diabetes, hypertension, and cardiovascular disease. Exercise also provides more concrete physical results. This is what helps me continue to exercise on a regular basis. It’s hard to use the fact that exercise helps prevent disease as daily motivation. Instead, it’s great to see a reduction or stability (depending on what exercise you’re doing) in your weight. Also, noticing a difference in strength and toned body parts helps make all the hard work worth it. Since we naturally compare ourselves to our friends, when I notice that I have more stamina than my friend who is approximately the same age and build, it gives me an increase in my self-esteem. Another great benefit for exercise is for all of those who are too stressed and lack the energy after a hard day at work. Exercise not only increases energy because it makes your body become more efficient at burning calories, but it also reduces your stress levels by taking your mind off of your daily “grind” and use your energy for productive purposes. So if you’re not convinced on the importance and benefits of exercise, I suggest just giving it a try, and once you notice the results, you’ll be a believer. Research says that a beginner should exercise around 3 days a week (aerobic) while an experienced person should exercise around 200 minutes a week with no more than an hour-long session (also aerobic). It is also very important not to start exercising, then stop for a while, and then start back up again. Consistency is key to seeing and feeling results. Having trouble finding the motivation to exercise regularly? Check out next weeks blog!